Long-term control and prevention of dental disease requires regular home care. The best way to begin this is to accustom your pet from an early age. Come in and talk to the team at Kangaroo Flat Vet Clinic so we can devise a solution for you. It is the same as a scale and polish done by a dentist for us. However, unlike us, our pets won’t sit still or open their mouth to allow a comprehensive cleaning of their teeth. For this reason our pets need to have a general anaesthetic for a professional dental clean. Your pet will need to be assessed by one of our veterinarians. The degree of dental disease will be assessed to determine if extractions, antibiotics and anti-inflammatories will be required. The assessment may also include a physical exam, blood tests and urine tests to ensure they are healthy prior to having an anaesthetic. Once anaesthetised, we can give the teeth a thorough cleaning using our specialised dental equipment. 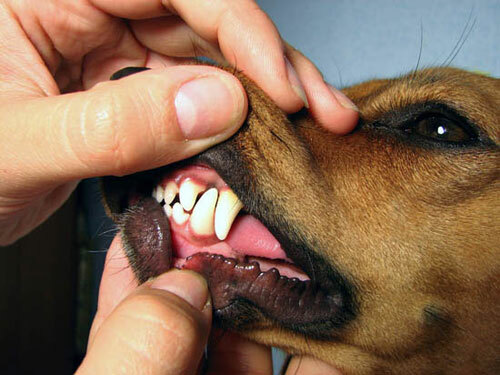 When your pet goes home we will also discuss methods of reducing dental disease in the future.